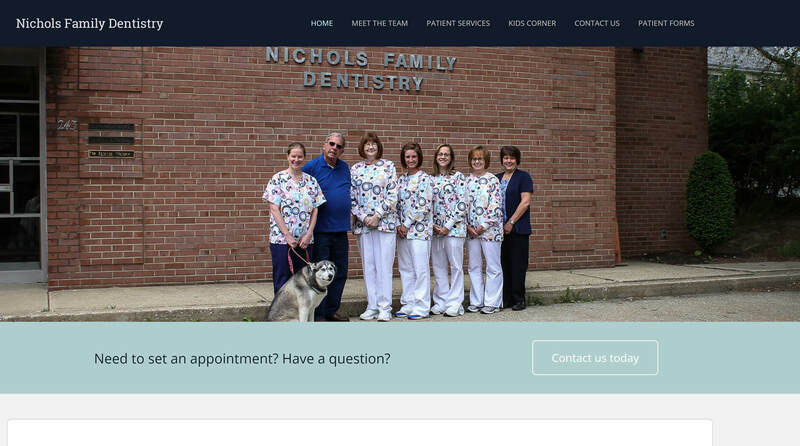 Nichols Family Dentistry received a full website redesign from the ground up. 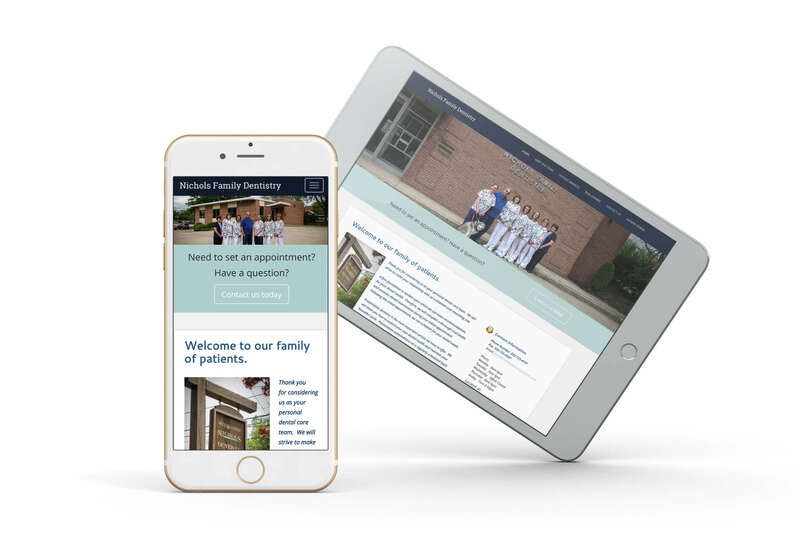 We were asked to create a website that is easy to navigate, simple, responsive on all mobile platforms, with a CMS setup so that their staff could easily manage the web site without having to know how to code. We crafted a mockup to speed things along and integrated it into WordPress. 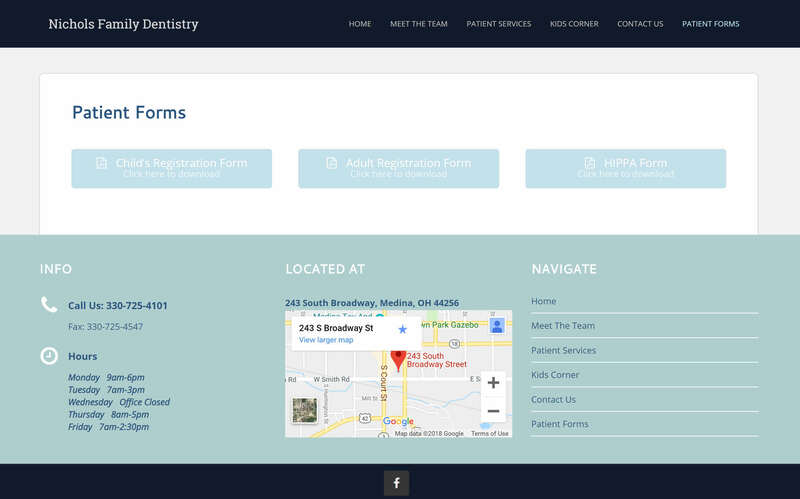 Features include a slider, dedicated area where clients can download patient forms, and a team section that can be easily updated in the backend. 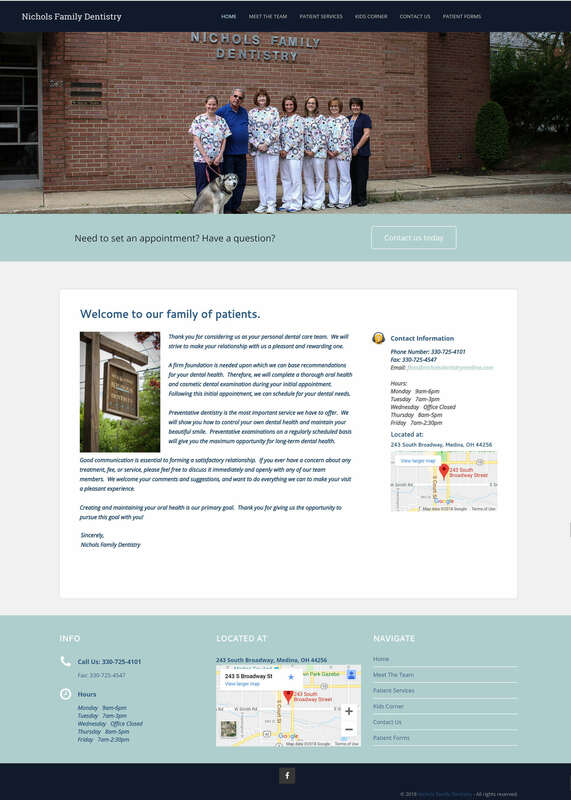 The client’s goal was to have an easy one page layout where their patients can download any forms necessary for their appointments.